Rock stars are not born. They are made! 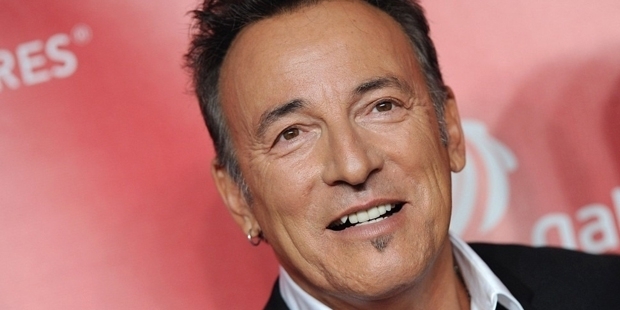 Bruce Springsteen is one of the most famous singer and songwriter of America. Born on Sept 23rd, 1949 in New Jersey, United States, he has been a working class hero of United States for four decades. His belief in rock's mythic past revitalized pop music and made him a superstar of the Eighties. Springsteen maintained his enormous popularity all the way into the 21st century. Bruce’s father was a bus driver and a secretary. He started playing the guitar at an age of 13 and joined the Castiles a year later. After completing his high school in the year 1967, he worked with the band called Earth.When Bruce was in college, he formed a group with some local musicians, including drummer Vini "Mad Dog" Lopez and keyboardist Danny Federici. In 1971, he created a band with a brass section and several singers. He also formed Dr. Zoom and the Sonic Boom, which played only on three dates. The Bruce Springsteen Band was then formed with Lopez, Federici, Vanzandt, pianist and guitarist David Sancious and bassist Garry Tallent, along with a four-piece brass section. Bruce also auditioned for Laurel Canyon Productions. In the year 1972, he signed a long-term management contract and an agreement giving Laurel Canyon exclusive rights to his songs.Bruce recorded his next album, The Wild, the Innocent, and the E-Street Shuffle, and his band integrated instrumental passages with his lyrics. The album sold as poorly as his earlier one, and Springsteen decided to concentrate more on stage shows. It was in the year 1974 that Jon Landau, a music critic saw Bruce as having a future in rock & roll. He started to run Bruce’s concerts and the same year, the album sold for about 150,000 copies. It went on top of the charts and stayed in the Top ten for some time. In 1979, Bruce went on stage in New York only twice. It was on the eve of The River’s release in October 1980, when Springsteen began his tour, going across the United States twice and it eventually took him to 20 European cities. His shows were sold out and was known to run for over three hours. 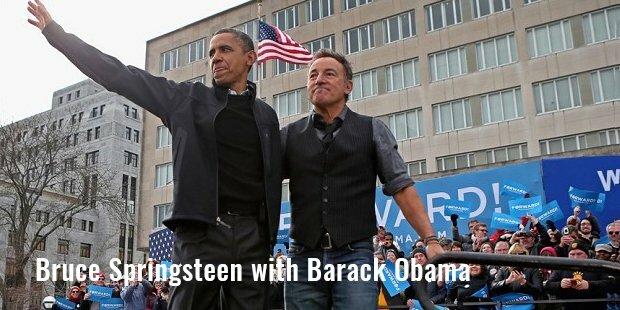 Springsteen has always played at numerous benefits. In the year 1985, he sang on USA for Africa's "We Are the World". A 40-song live album package Live/1975 was also released. His music usually bears strong traces of Catholic values and Irish Catholic driven hymns. He confessed to have led a spiritual life, and often credits his musical inspiration to his Catholic raising. 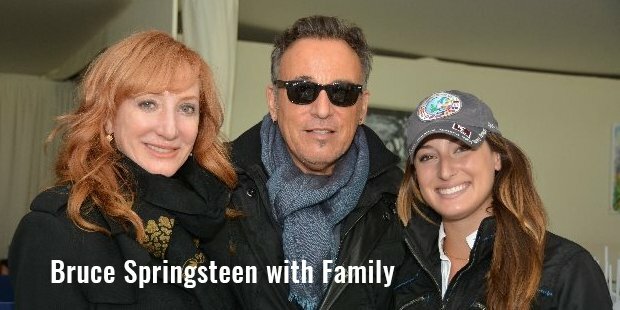 In the year 1984, Bruce Springsteen met model/actress Julianne Phillips, and they married in May 1985.After a decade, Bruce returned with the simultaneous release of two, Human Touch and Lucky Town. The albums entered the charts at their peak positions very soon.Bruce also performed on Saturday Night Live in 1992. This was his first network TV performance.By the year 1998, he maintained a low profile. In the year 1999 Bruce and the E Street Band reunited for the first time after more than a decade.In December 2009, Bruce received the Kennedy Center Honors. The ceremony showcased special tribute performances of his work by singers like Sting, Pearl Jam's Eddie Vedder, John Mellen camp and Melissa Etheridge.Springsteen’s well-known hits include albums like Born In The USA, Born To Run, Nebraska, Devils & Dust, Magic, Wrecking Ball etc.